We Have Greenhouse Doors Here! Channeling my best baseball peanut salesman. How can anyone or better yet why would anyone spend time on an article about greenhouse doors? I mean it is pretty straight forward. Right? Basically, yes but as with any accessory of a greenhouse there needs to be thought put into it for it to be useful and worthwhile. 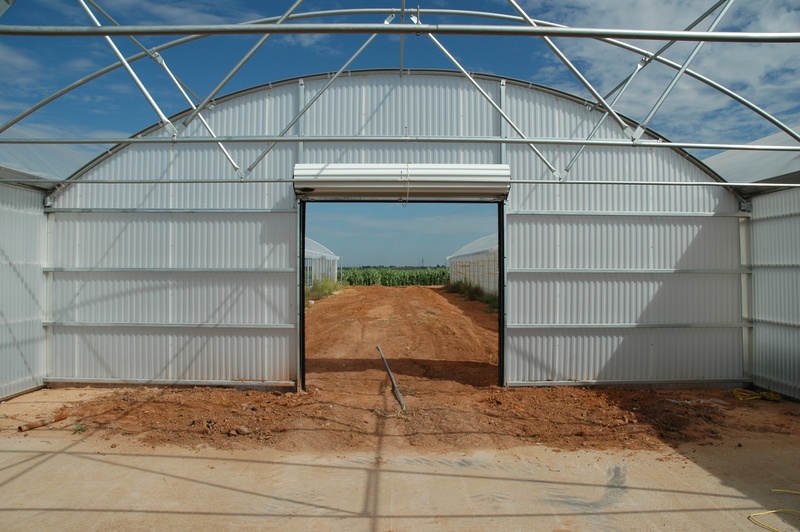 You’re building a greenhouse and you come across the line item of doors in the design phase. You need to get in and out of the greenhouse, equipment is coming in and out, possibly vehicles need access, the point is there is the plan for now and a need to plan for the future.This is not a very in depth topic, but look out 5 years and think what will I be growing? Will your access to the greenhouse need to change? Be sure to plan around this. Ok, let’s move on to actual doors and options.There are the simple personnel doors. These are the doors people go through. Besides access, these are often used as an emergency fire exit. 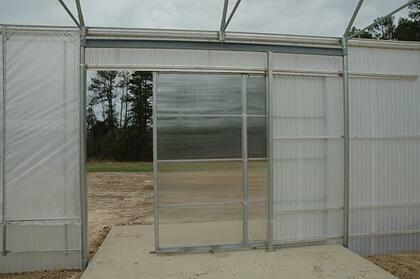 These range from aluminum with polycarbonate windows to steel insulated doors. They come in single and doubles. Standard widths are 42”. On the larger side, options are sliding and roll-up doors. Roll-up doors are similar or the same as roll-up garage doors. The dimensions of these are determined by what is needed to fit through the door and the greenhouse size limitations. The sidewall and endwall heights limit the height of the doors. The widths are less of an issue but are limited by the need for columns. Sizes range from 4’ x 7’ to 10’ x 9’. 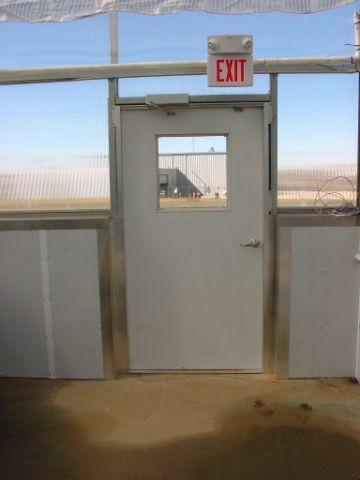 Sliding doors are aluminum framed with twin-wall polycarbonate or corrugated polycarbonate. They come in singles or doubles, ranging from 4’ x 6’9” to 12’ x 9’. 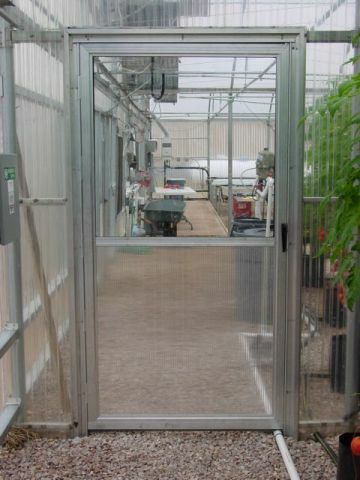 The key to greenhouse doors is planning for current needs while keeping an eye on the future. They may not be high on the list of important equipment but the moment you try to bring in equipment that doesn't fit and you have to remove sidewall panelling to get it in, it will be apparent just how important they are.